IMT will walk you through the entire process of gathering the diagnostic information you and our physician will need to make the correct assessment. This will include scheduling for lab work at a facility near you and gathering your new patient forms and medical history. Once your specialist has gathered all of your pertinent medical information and diagnostics our medical team will upload the information to our private HIPAA compliant medical portal, and notify the physician you will be working with to review your file and give you a no obligation pre-approval so you know whether your a candidate or not before we decide to go further. IMT prides ourselves in a comprehensive approach, not a one size fits all. Through our extensive experience (almost 7 years now), we have developed a knack for getting people dialed in quickly and making sure they do not make the same mistakes as others before them. Our common sense concierge approach to men's health is not only innovative but take a hands on personal touch that you usually only get with clinics that charge $40k per year. 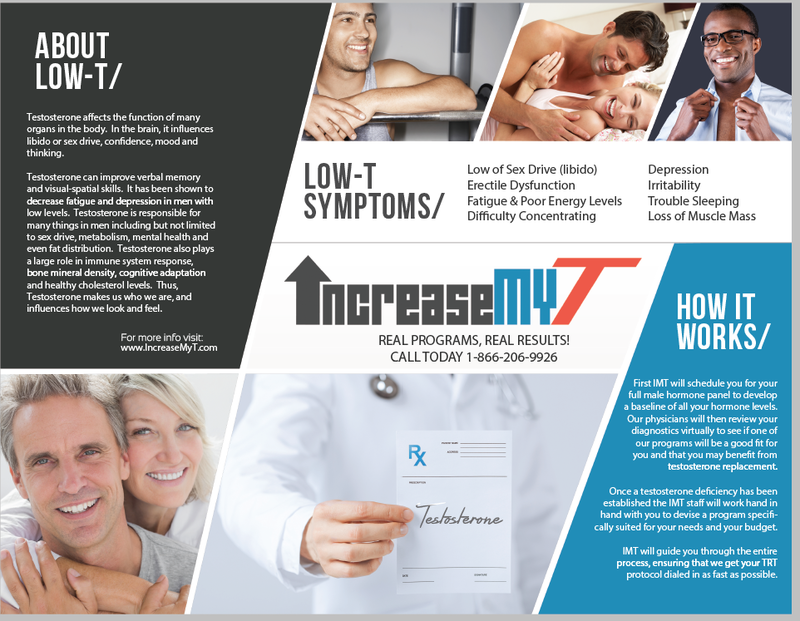 IMT addresses the needs of both males and females who wish not only to prevent disease, but to enhance their health and optimize their genetic aging potential. IMT and our extensive network of physicians have handled thousands of treatment programs for men and women just like you. This experience allows us to educate you on the best-case scenarios for success, while making sure your program is being monitored properly. You can rest assured your doing the things that ensure a successful long-term program with the lowest risk for negative side effects because our protocols have stood the test of time and helped thousands of clients across the country. We do all of this and offer the most competitive prices in the business. So schedule your FREE appointment at the bottom of any page with us today!